Models suitable for micro biological manipulations, work with bio-assays sterility testing and research work, vials fillings & burning operations in parental units and for general dry processing work in a semi conductor industry etc. 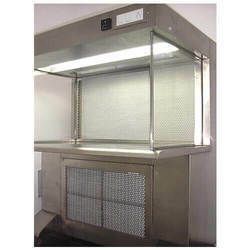 Size of the filter - 2’x 2’ x3"
We are offering Vertical Laminar Air Flow System. Reckoned amongst one of the credible names, we are immersed in offering a broad collection of Biological Safety Cabinets. 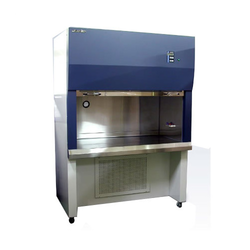 We offer a wide range Biosafety Cabinets. The VERSA 110 PCR Carousel Setup is a small, automated liquid handling workstation designed to perform virtually every task for fast, automated PCR setup reactions as well as all general liquid handling tasks. We are Leading Manufacture and Supplier in Hot Air Laminar Flow Sterilizing Tunnel for Pharma Industry. Backed by a rich industrial experience, we are engaged in offering a commendable array of Horizontal Laminar Airflow Bench.